No experience? No problem! 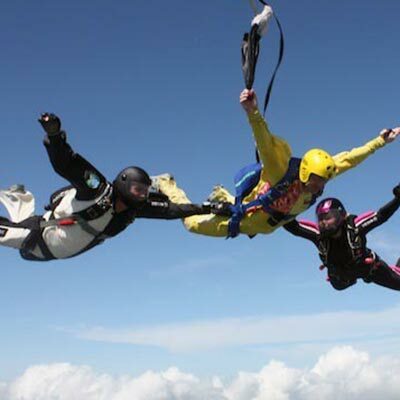 A tandem skydive is perfect for the novice with no prior skydiving experience. 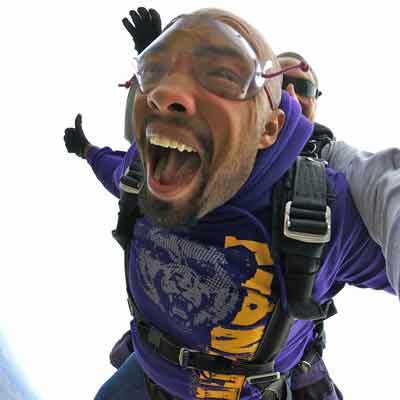 Jump with one of our professional instructors as a tandem pair from 10,000 feet! We offer two methods of skydive training - IAD (Instructor Assisted Deployment) and Accelerated Free Fall (AFF). Either way, we'll get your journey started to becoming a licensed skydiver! Fun jumpers are always welcome at Ozarks Skydive Center! Join us at the friendliest dropzone in America! No politics or sky gods! We will welcome you with open arms! Know you want to jump? Then let's get the process started! You can call us or schedule your jump online. Either way, we'll make it very easy for you! Welcome to Ozarks Skydive Center! 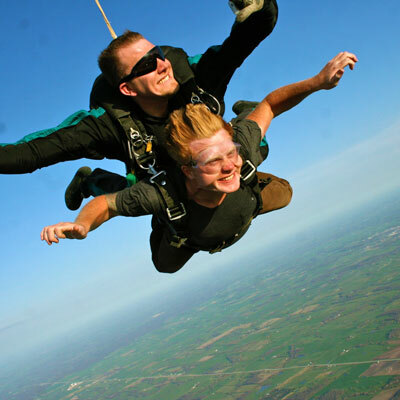 The #1 destination for skydiving Springfield, MO and Joplin! 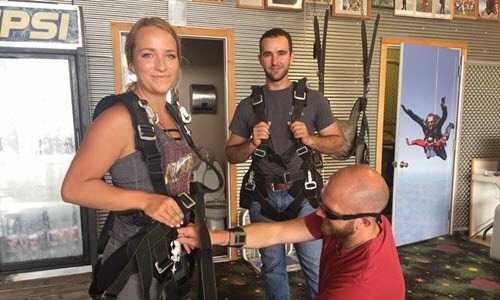 Located in Miller, MO, Ozarks Skydive Center is just a short drive from Springfield, Joplin and Branson, Missouri, as well as Fayetteville, AR. 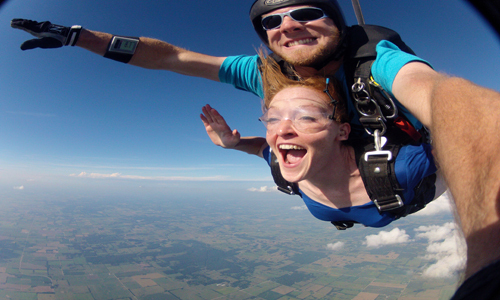 If you're ready for an adventure, we'd love to host you for your skydive! 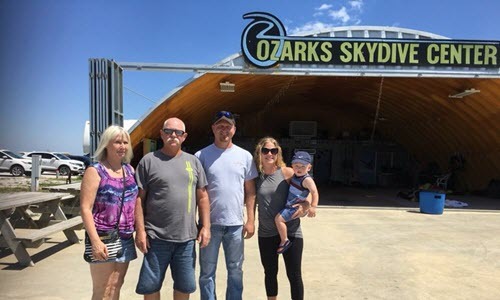 Ozarks Skydive Center is a family owned and operated business run by husband and wife team, Bryan and Lyn Wolford. Bryan and Lyn are as passionate about customer service as they are skydiving, and are known as the 'friendliest skydive center in America'. They are dedicated to ensuring that your skydive is one of the most memorable moments of your life! At Ozarks, you will never feel like a 'number' but rather part of our skydiving family. Our staff and skydiving instructors are highly experienced and always go the extra mile to make sure that every guest is comfortable, confident, and ready to enjoy the adventure of a lifetime. If you're considering skydiving Springfield for the first time, we invite you to experience the thrill of tandem skydiving from 10,000 feet, showcasing Missouri like you've never seen it before! If you're wishing to take it to the next level and become a licensed skydiver, we can help you reach your goals with our learn to skydive AFF training program. Experienced skydivers and fun jumpers are an important part of our community and are always welcome at our dropzone. So why wait any longer? 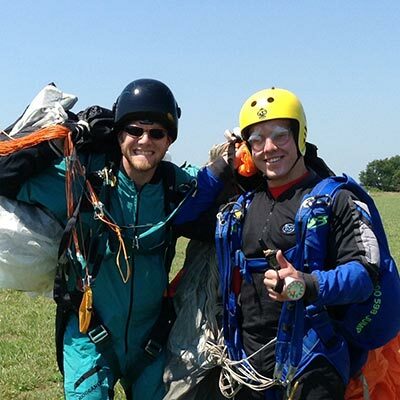 Ozarks Skydive Center makes skydiving in Missouri safe, friendly and fun! 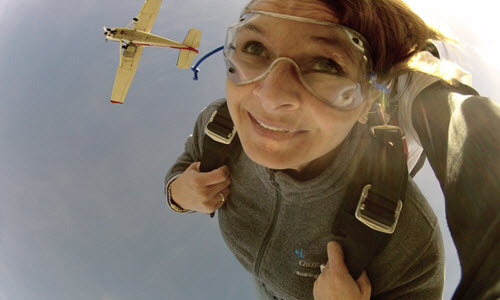 Finding the best skydiving center close to where you are feels kinda like online dating. Doesn't it? After all: You want to fall, and you want to fall with the very best company possible! We understand the sweet romance you're aching for, and we want to present you with a beautiful bouquet of pro tips to help you find a match made in heaven (or at least the stratosphere). Here you go-- They're for you! If you're wondering if skydiving is something you should try, there's a good chance that a few sticky little myths are getting in your way. After all: there's a good chance that skydiving is just the thing you need to catapult you to the next level in your life! Here's the straight deal, dear reader. We know you'll be glad to shake off those false assumptions! Even though skydiving tandem instructors have spent many hundreds of hours and many hundreds of jumps earning demanding instructional ratings and dialing in their grace, strength and agility in the freefall context, their biggest job on any give skydive is to help their students to stay calm, to listen to instruction and to stay loose. It takes a true maestro to masterfully balance the funny with the serious. We're proud to say that, at Skydive the Ozarks, our instructors have nailed it! No matter what kind of a relationship you have with your mom, there's a pretty good chance that the idea of you getting out of a perfectly good airplane at altitude is going to send her into some sort of tizzy. Right? After all: She cares about your safety! You probably assume that there's no way you're going to be able to convince your mom skydiving is safe enough for her baby. If you're here, you've found our 'secret' promotion on offer through our Facebook Ad. This is not publicly offered, so congrats! The special promotion offers guests the opportunity to skydive for $30 off our retail price.